The video part of your training subscription appears here in your online account. Each month, new videos appear that correspond with the deliveries you are getting at home. Prior month’s information stays in your account throughout your subscription, so you can watch and revisit content again and again. To get started, just click on the training videos that match your subscription. Remember that you have to click the blue, “Start Training Course” button to begin your online training. Good luck! Welcome to your online training account. We're really glad you're here and we're anxious for you to get started. We suggest you start by watching the instructional video in this Welcome Course. You'll get a quick walkthrough of your account and how to get started. It will take less than five minutes and then you're off to training with your dog. These videos are also available in the Hydrant App for the length of your subscription. Good luck! 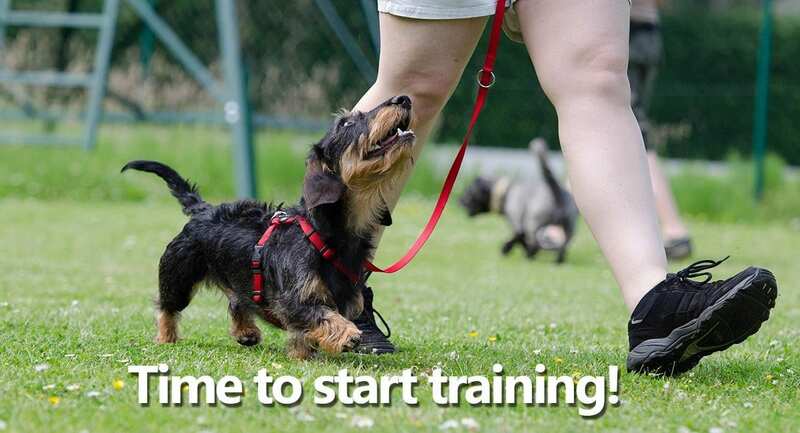 The Good Dog in a Box online training program combines dog safety and dog bite prevention education with family friendly, positive reinforcement dog training, for one big box of fun. Through this online account, you'll access training videos, downloads, and additional resources that correspond to what's in your box. Training information stays in your account, so you can watch and revisit training content again and again. The Good Dog in a Box 12 month subscription program combines dog safety and dog bite prevention education with family friendly, positive reinforcement dog training, for one big box of fun. Every month this account will be populated with new online training videos, downloads, and additional resources that go with your monthly subscription. Prior month's information stays in your account, so you can watch and revisit prior month's content again and again. The Good Dog in a Box 6 month subscription program combines dog safety and dog bite prevention education with family friendly, positive reinforcement dog training, for one big box of fun. Every month this account will be populated with new online training videos, downloads, and additional resources that go with your monthly subscription. Prior month's information stays in your account, so you can watch and revisit prior month's content again and again. Calm Dog in a Box combines stress reducing products from ThunderShirt with daily training exercises to help calm your dog for the long term. Your four month subscription includes monthly training exercises and Tellington TTouch calming exercises. Prior month's information stays in your account, so you can watch and revisit prior month's content again and again.